“After trying this rub, I’m not sure I’ll ever use just salt and pepper again. It makes steak taste like it came from the most famous steak house in the world. 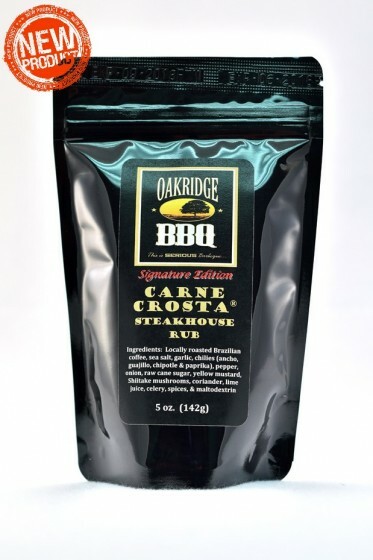 Really great stuff!” ~ Chad W.
This is our most technical rub and does require correct cooking technique to achieve the best results. We recommend applying a light coating (about a teaspoon per side) of extra virgin olive oil to all sides of the steak or cut of beef prior to applying the rub. The purpose for the EVOO is not to help the rub stick, it will do that just fine on its own. 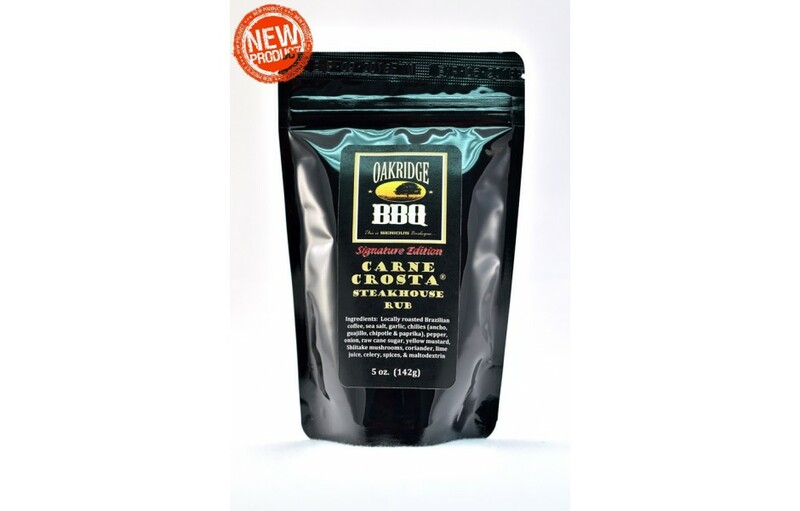 Instead, the purpose is to use this specific type of oil to develop yet another layer of flavor to the steak. This step is purely optional, but recommended non the less. You see, extra virgin olive oil has a low smoke point, and some of it will burn when you sear your steaks, but this is desirable, as the flavors imparted by the slight burning of EVOO are quite pleasant and very tasty. 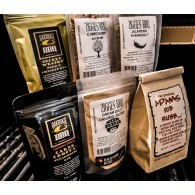 Additionally, you will want to cook this rub with very high (600º-700º F) direct heat. This means you will need to sear directly over the coals. Cast iron grill grates work the best as they allow the direct radiant heat to contact the sides of the steak while also making killer grill marks. However, any standard open wire grill will do just fine. We use Weber charcoal grills exclusively and have wonderful results with their stock grates. Unfortunately, the raised aluminum grilling grates currently on the market, while wonderful in their own right, do not allow enough radiant heat from the coals to reach the sides of the steak during the sear. This blockage will prevent the crust from forming across the entire side of the steak, which is not desirable. So, if you like those neat grill marks created by these grilling grate products, sear first over an open wire grill to form an even crust, then quickly set your grill marks on the as a final step.